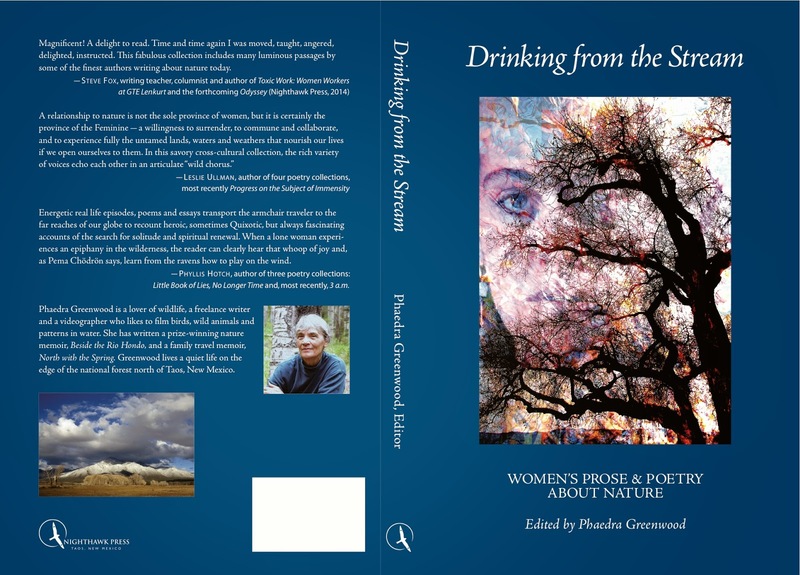 I scheduled five readings over the summer for the authors included in DRINKING FROM THE STREAM: Women’s Prose & Poetry About Nature. 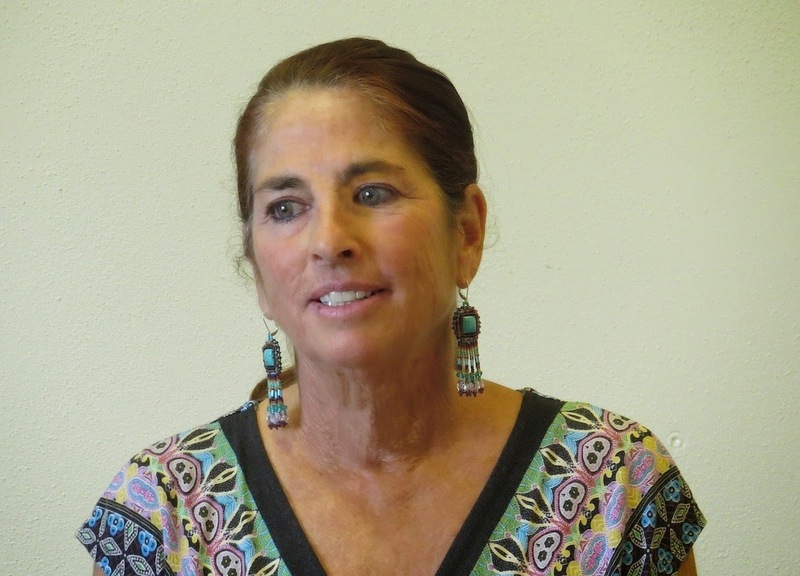 The first, “The Dark Side,” was held April 26, 1-3 p.m. at the Taos Public Library. The second was on International Migratory Bird Day, May 10, 1-3 at the SOMOS office in Taos with Linda Fair, Michele Potter and Meg Peterson. 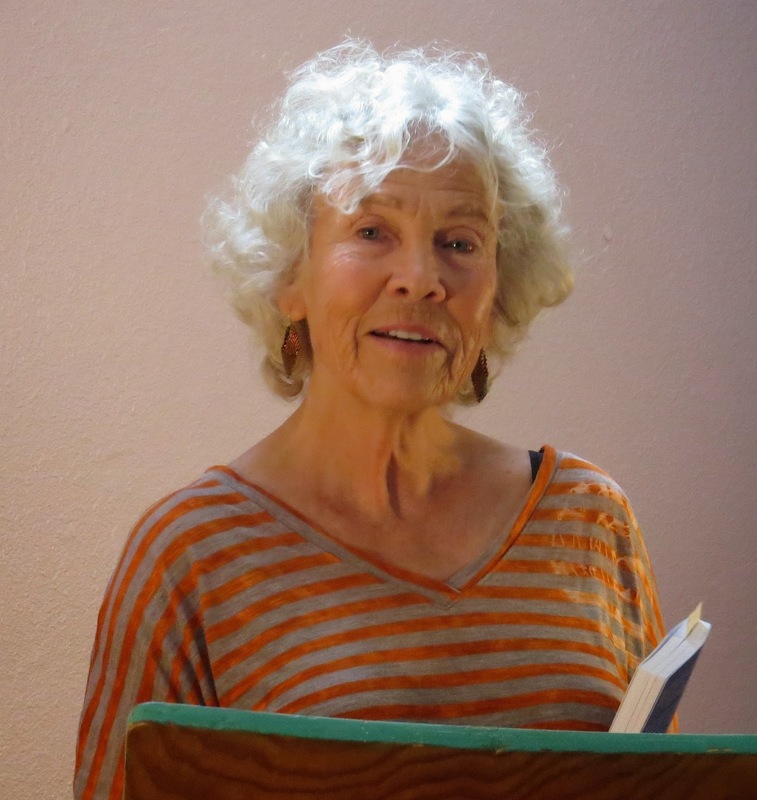 The third, “Women, Water and Trees,” is planned for Saturday, May 17 at Taos Public Library with Elaine Sutton and myself. The fourth reading is Friday evening, June 27, 7 p.m. at SOMOS. The fifth reading was August 9, at Moby Dickens, one of our local bookshops. 1. How long has this book been in the works? 2. When was this book first published? 4. Why did you choose to use nature as the main focus for this book? 5. Tell me a little about the women writers and your experience in working with them. 6. Besides nature, is there another reoccurring theme throughout this book? If so, what? 7. Where can the book be purchased and for how much? 8. Is there anything else you would like to say about “Drinking from the Stream” or about the authors? At least a decade has passed since I first began to gather stories and poems from my women friends and writing students. Nature was the magnetic lodestone that drew the stories together. I did not exclude men’s nature stories – I just never came across any. Many of the men in my creative writing group were–and still are–writing about the devastation of the Vietnam War. That is their path and I totally respect it. Drinking from the Stream, recently published by Nighthawk Press, (thanks to publisher Rebecca Lenzini!) is about sacred water–the life force. (All water is sacred. As they say around here, “Agua es vida.”) So the title is a metaphor for drinking from the stream of life. In the beginning we all drank from the living waters; in the end we all return to the Source. I did not choose to use nature as the main focus of the book. The creative process was not deliberate but intuitive. The intuitive is always right on because it knows more than I know by my lonesome. I merely collected the stories and the themes shaped themselves. Many of the authors in this book are old friends whom I have loved, admired and hiked with for many years. Others shone like beacons in the tempest as they read their poetry and prose, so I asked for their stories. The casual way they handed them over, the patience and trust they invested in me inspired me to slog on in the face of many rejections. Working with a cross-cultural mix of sensitive and talented women as a mentor and friend, I reveled in their natural skills with language, rhythm and description–even some who had never published before. Their courage, bedrock honesty and willingness to reveal themselves continue to amaze me. Some of these stories and poems are laced with wry humor. Others express a deep love for the earth and its creatures. A few offer a Zen-like embrace of opposites. Several are tales of revelation and transformation. I love the way these brave and hearty women wrap their arms around darkness and plunge into light. A few stories were so quiet or so outrageous that I wasn’t sure if I should include them, but in the end I saw how they helped connect the whole work with a cohesive rhythm. As I proofed the final copy, I sometimes burst into tears at the last line or whispered, “Wow! Well done!” What I gained by reading the collection straight through from beginning to end was a certain resonance that echoes back and forth between the authors. A call to consciousness. Almost like the voice of Mama Earth herself pleading for sanity, unity and communion. 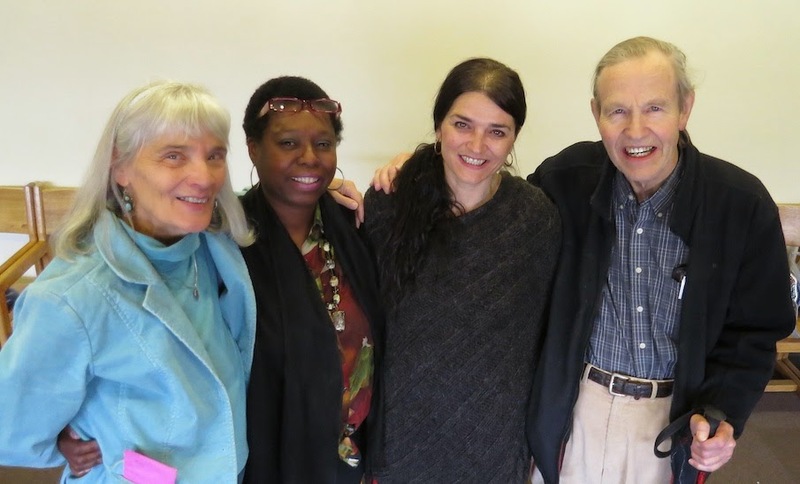 And if unique writers were not enough, I was also blessed with the chance to work with two intelligent, perceptive women: the artistic designer Barbara Scott and stalwart publisher Rebecca Lenzini. This gentle, collaborative process has been not only an exercise in mutual respect, but a celebration of creativity itself. Coaxing talented writers out of self-doubt into works of strength and simplicity has expanded how I experience my own life and deepened who I am. Thank you! All of you. Gratitude and love! This collection may be purchased from any of the authors or from myself. The going price is $15.00. Contact me at pgreenwood478@gmail.com or better yet, come and enjoy one of the series of scheduled readings with a variety of authors.